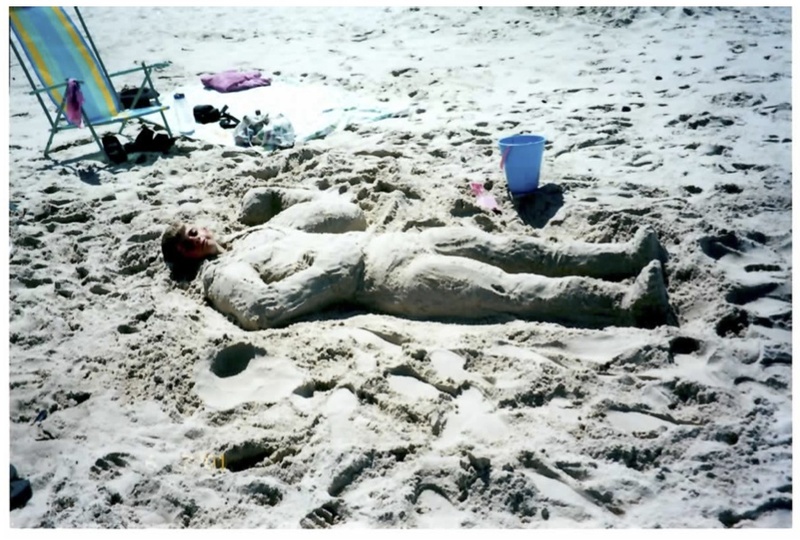 Since being "creative" is part of my philosophy of life and how to live it to it's fullest, I've decided to post this series of sand sculptures I've created over the years. 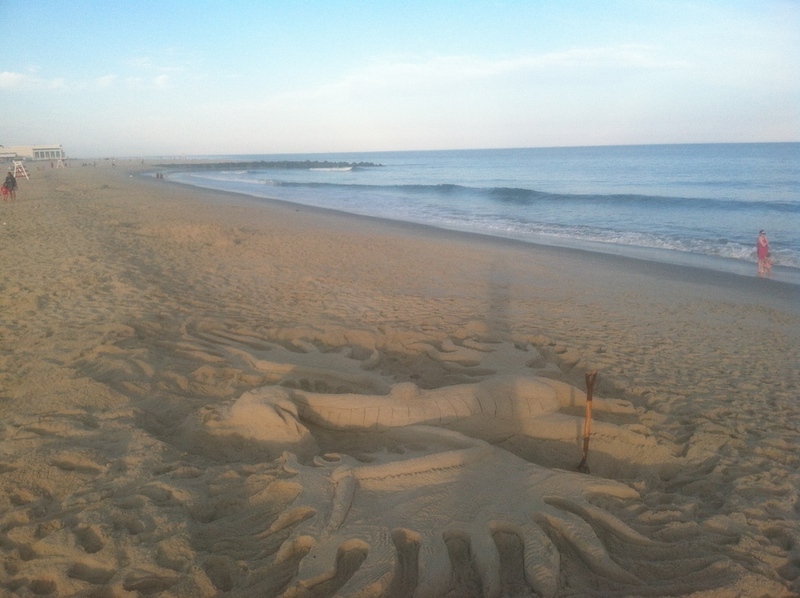 Generally, these have all been created at Cape May, New Jersey over the years. I started making these when my kids were little, and it just kind of became a tradition of sorts. No particular reason to have them here, except to acknowledge that they aren't really that good, but I went ahead and made them anyway. I did it, to do it. And regardless of your skill, or talent or proficiency - you should do what you enjoy doing too. Hope you get a little enjoyment from these. I like a shovel, spoon, fork and butter knife. This one was pretty huge. Got some exercise that day. Sometimes I don't get them done before dark or the tide. That's the beauty of it. You need a little scale. Cool mythical creature of rebirth. Like the whole idea of the thing. Hard to see the whole things, So I took a bunch of shots. Just another shot. Not really that special. Not to far from the water. I like the color of this one. Not my favorite part. Ran out of time. I like how this works together. My son gets into the act. I try to make the back interesting too. People like to ask you what you are doing. He has some treasure, and might have drank too much rum. This was my daughters pick. Wonder how that peg leg works on sand? This one came out nice I think. My son does a skull and bones for the pirate. We got better with time. No reason for this shot. Just liked it. Tough theme for not binders. Lots of verticle. lifting weights is over rated! Sometimes you can't beat the classics! This one was kind of easy, and I liked the final product. 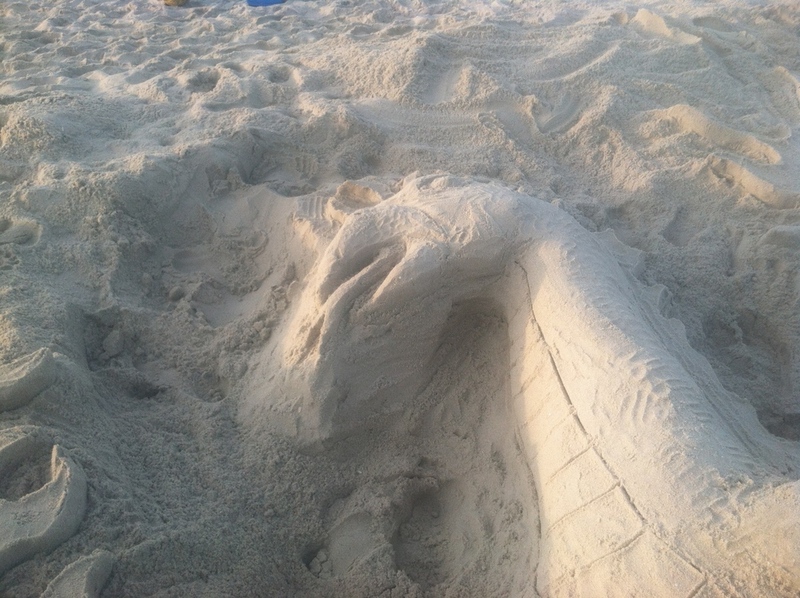 Because you want to be thinking about sharks when you are at the beach. ...with Sand Shark in hot pursuit!